Increasing precision, production and profit means having the right CNC plasma cutter to match your application and task. Upgrading any one of our plasma machines is an easy thing to accomplish. From sheet metal work to heavy fabrication, we've got the perfect plasma system options. Enables the cutting torch to stay perfectly parallel to the material via tip voltage. This is a very handy feature on a plasma CNC machine when cutting deformed sheets, warping material and rough materials like diamond plate. Heavy duty cable track carrier that keeps all wires, lines, air hoses and etc. protected and secured from catching on any close objects while the CNC machine is in motion. E-Chains are also a great cosmetic option on any CNC system in the workplace. This CNC machine accessory has two-fold benefits. Firstly, it gets rid of 95% of the annoying smoke and slag from plasma CNC cutting. Secondly, a waterbed on your machine keeps material temperatures cooler for higher quality cuts, saving you time and production costs by reducing cleanup of cut edges. Available with or without automatic water level controller. This heavy duty engraver is mounted on an automatic air controlled cylinder that retracts when not in use. Ready to offer customers a few more applications? You don't have to buy a whole different CNC machine to make that happen. Since ez Router is a CNC manufacturer, we can create combo units for you from any of our distinct types of machines. Choose the two that will do you the most good from: CNC router, Oxy-Fuel or plasma CNC cutter. We'll pair them up in a special combo configuration especially for you. Don't worry about downtime to changeover from one type of CNC cutter to the next. Its quick and pretty simple. You'll have the next job in process in about 5 minutes. Gain greater pickup height on oxy-fuel and plasma cutting systems for applications that require this capability simply by requesting this additional option be included on your new machine. Keeping everything as easy as possible is what makes ez Router your key to higher profit and productivity by cutting out loss from wasted time and material. 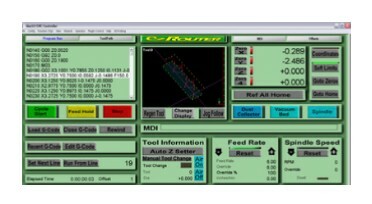 Don't forget to check out our full selection of CNC Plasma software. These are the easiest to use programs that cut your loss of time and waste for about any application CNC systems are used for. We offer a full line-up of CNC machine accessories for all types of cutters. If you're looking for a certain add-on or upgrade option and don't see it here on this page - call us now at 903-569-3190. It may not have made it onto our Accessories Page just yet. Copyright � 2010-2015 ez Router, Inc. All Rights Reserved. Designed & Developed by Duncan Multi-Media.